If you are anything like us, you have probably gotten roped into your fair share of pyramid schemes. Charismatic speakers, amazing opportunities, levels of success, selling to friends, shame, and debt are some of the amazing memories associated with your ride on the pyramid scheme train. Because of the huge monetary loss commonly associated with pyramid schemes, we want to instruct our readers on how to sniff out the difference between a business opportunity and a debt opportunity. If someone tries to recruit you into a multi-level marketing company, that means that they want to sell you on their pyramid scheme. Full stop. There is almost no difference. Basically, multi-level marketing aims to sell bulk products to individuals instead of selling products at retail prices, while telling the individual if they sell their items at retail prices, that they will make a lot of money. This often ends up with the person who buys items in bulk with a lot of worthless stuff stockpiled at their home. The most lucrative way to make money in this process is to recruit other people and have them in your “down-line,” thus perpetuating the myth that if someone buys a whole bunch of stuff for bulk pricing, they can sell it for profit. A normal job does not ask you to pay to make money. If you are an accountant, you are not asked to purchase clients to work for. The same goes with lawyers, teachers, and any other honest profession. If you are told to buy a product to sell to others, run to the hills and never look back. It’s a pyramid scheme. If someone is trying to get you to join their company, and they tell you that you can work 3 hours a day from home while driving a Ferrari, something doesn’t add up. Why would they ever need to openly recruit people if that was the case? There’s a term for it: cube plan? Sphere Agenda? Pyramid scheme, perhaps? I hope this article illuminated some of the telltale signs that the business you are being recruited for is a pyramid scheme. If you still want to join, that’s fine, but don’t pretend like ecolaw.biz didn’t warn you. It turns out that some severe side effects to common medications aren’t always as out in the open as their users would want them to be. Daiichi Sankyo and Forest Laboratories will shell out about 300 million big ones in a massive product liability suit that resulted in a number of personal injury claims because of those criminal side effects. The drugs are used to treat blood pressure irregularities. There were over 2,000 claims managed during the proceedings. Users of Benicar, Azor, and Tribenzor apparently developed a number of life-changing symptoms, including chronic diarrhea and gastrointestinal injury, and severe weight loss over the course of their treatment regimens. Unfortunately for those currently taking the drugs, the gastrointestinal side effects aren’t immediate, and can instead develop months or years after a person first uses the drug. Because the full extent of the potential for damage was not known for some time, some patients’ doctors did not ask them to discontinue use of the drugs when symptoms first manifested. Because continued use of the drugs was common, permanent damage was inevitable for some of these patients, and this is the reason that the settlement resulted in such a large sum of cash. A 2012 study performed by Mayo Clinic found twenty-two instances in which Benicar patients reported symptoms of Celiac disease, an autoimmune disease that affects the small intestine when the patient consumes gluten, a protein found in wheat products. Soon enough, medical professional were able to deduce the real culprit of the symptoms. It wasn’t until July of 2013 that the FDA finally rectified the situation by disseminating information to patients about the potential side effects of the already popular drug, Benicar. There was evidence at the time, which later proved to be true, that pointed to possible intestinal disease brought on by sprue-like enteropathy after using the drug. In most cases, symptoms stop when patients go off the drug. In some rarer cases, permanent damage was done and symptoms continued. If you or someone you know believes that they have symptoms due to the use of a drug, then a medical malpractice attorney should be notified as soon as possible. It’s likely that other users of a particular drug have encountered the same or similar symptoms. The attorney you choose will research similar cases and attempt to find others who share in your distress. In such a case, a class action lawsuit may result. Settlements from such lawsuits can lead to massive settlements and life-changing sums of money for the victims of such malpractice. 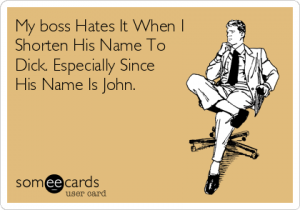 Is The Boss A Jerk Or Just A Bully? Bullying is never OK, whether it’s in the schoolyard, in the office, at home, or on social media. Yes, we’re calling out the online cowards, too. Bullying can come in many forms, based partly on the forum in which the bullying is taking place. Most bullying can be walked away from, but one type of bullying is problematic. In a workplace, having a boss that is a bully can be difficult because you can seem stuck, according to a sexual harassment attorney in Nassau County. You could just take the bullying and keep your mouth shut because you need the job to make a living. On the other hand, you could stand up and demand respect, but that could also mean being discriminated against in the workplace, or fired in retaliation. There is a fine line, though. There are bosses who are jerks, and that isn’t illegal (unfortunately). But then there are jerks who cross over the line and become bullies, which is illegal according to the federal Occupational Safety and Health Act (OSH Act). The federal legislation not only created OSHA – the regulatory body for workplace safety – but it also spells out workplace bullying and violence. There are some specific actions or behaviors that are listed as violent or bullying behavior, all of which subjects the individual and/or the company to fines. This even includes retaliation or discrimination against an employee who happens to blow the whistle with OSHA about any behaviors that fall under the auspices of the OSH Act. Let’s take a look at a few of these actions, and you can determine if your bos is just being an obnoxious jerk, or is he actually bullying you? Boss is taking credit for good things, but blames you or co-workers for any failures. Boss compromises your success by being “too busy” to give feedback or to sign off on anything. 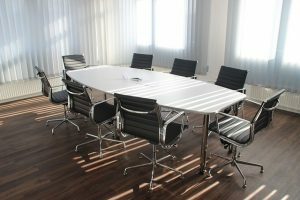 Your work station gets moved further and further away from your supervisor, and you find yourself being kept ut of meetings you would usually attend, or your boss schedules meetings at times he or she knows that you’re not available. A coworker is given leeway by your boss to insult you, criticize your work or generally put you down. You get home so tired at night and on weekends that you don’t feel like doing the things you like to do. You may have great job performance reviews, but you hear nothing but criticism from your boss. You look forward to the weekend, but then dread the start of the week. If you experience most of these at work (not just some), and especially on a regular basis, then it’s likely not just that your boss is a jerk, but that he or she may be a bully or a harasser. And that should get the attention of the feds, as well as state labor authorities. If your company knows about this behavior and does nothing about it, then you may need to look into legal remedies while you update your resume – because no job is worth putting up with this for very long, no matter how fat the paycheck. It’s a matter of dignity. International law has always been a tricky business–let’s face it, all law is–but it’s getting especially brutal in the way it’s greeted and disrespected at the border, ask Blischak Law about it: https://www.phoenixcriminaldefense.com/. In fact, it’s becoming commonplace for customs officials to search the cellphones and other electronic devices of those attempting to cross from one country to another. That’s not such a great thing, especially since lawyers often have to travel in order to do business effectively. Does a government (such as the U.S. government) really have the legal right to search a private cell phone during any routine search? That question arises because recently a NASA scientist’s phone was searched at the border. At first glance, that doesn’t really seem to make much sense. The scientist in question was born right here in the U.S. Then again, perhaps his name had something to do with it: Sidd Bikkannavar. Because he’s a scientist and not a lawyer, he didn’t know what his rights were. When asked for his phone and the pin number that would unlock the device, he gave them up. A search ensued. If it can happen to a NASA scientist, it can certainly happen to anyone. That’s where it gets complicated. If your phone can be searched at customs, then any information bound by attorney-client privilege on that phone can be searched as well, effectively destroying that ethical trust. What can–or should–lawyers do when and if this becomes an issue? One of the best ways to prevent this from becoming an issue is to question the government’s right to do this immediately. Not that lawyers can expect much flexibility from the Trump administration, but it’s good to test the waters before you set sail. The reality is this: customs will do what customs has been ordered to do, and treatment of travelers differs from one country to the next. Lawyers must do whatever they need to do in order to reasonably safeguard data bound by the attorney-client privilege. First and foremost, it’s important to know where you’re going and how information will be treated by the government and customs agents where you travel. What are the risks regarding the confidential information with which you’ve been entrusted? If you have such information and there is a reasonable expectation that the devices on which it is stored could be searched or breached at customs, then take action to reduce the risk. Ask to speak to whomever is in charge rather than immediately give up an electronic device when asked. Use burner phones when traveling. In order to dissuade officials from indiscriminately prying through information on these devices, make sure you carry documentation of a legal nature, and make sure they know who and what you are. If they don’t know you’re a lawyer, they’re not going to care one way or another. If the information is breached at customs, then the affected parties must be notified immediately in order to decide what action be taken next. No matter what, it’s important to acknowledge that data is difficult to protect when traveling, and precautions are difficult to come by. Running a law practice is something that many people do, but not everyone does so in an efficient manner. In order for a business of any kind, especially one that specializes in legal matters, to be successful in helping clients and making money, it must be run in a manner that allows it to. To learn what sets an efficient and successful law practice apart from what that is less efficient, continue reading. One thing that you need to do to run an efficient law practice is to focus on the customer or client service. In law, unlike other areas, the customer may not always be right. However, a good law firm will help their clients understand any misunderstandings they have. They will also treat them in a positive manner as far as scheduling appointments and other interactions. And in order to bring clients to your firm, you need to have successful law firm marketing campaigns. By reaching out and letting residents know that you are available and able to help, you can bring more people in. Also, by having good customer service and treating your clients right, they will tell others about your practice and that is one of the best marketing strategies of all times. Another thing that an efficient law practice does is manage their books properly by using legal practice management software. Running a company of any kind requires many different things and finances is one of the main things. If you don’t feel comfortable taking care of the finances, it is a good idea to find someone qualified to do so. As you can see, there are many different things that you can do to run your law firm efficiently. By taking care of your clients and finances, you will be ahead of the game in running a successful business. Can You Be Fired For An Injury You Sustained At Work? 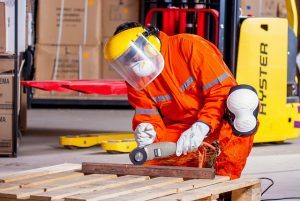 If you were injured while on the job, you may be entitled to a number of things. For example, you may be eligible to receive worker’s compensation. You may also be entitled to certain protections. For example, your employer may not be able to fire you because of an injury you sustained at work. With that said, you shouldn’t assume that your job is safe. Here’s more information about the protections that you have as told to us by a personal injury lawyer NYC. Different states have different employment laws. If you live in a “Right to Work” state, your employer may be able to fire you for virtually any reason. Other states have more laws to protect employees. With that said, you may be able to receive a settlement even if your state doesn’t have laws to protect you. Talk to an employment lawyer about the circumstances of your case, and they’ll be able to tell you what your options are. Even if your state expressly forbids against firing in this situation, you may still be laid off. It isn’t at all unusual for employers to ignore employment laws. Thankfully, you have plenty of recourse if your employer violates the law. If you set up a free consultation with a local lawyer, they’ll be able to tell you more about these options. You may be able to sue your former employer and receive a large settlement. It is possible that you will get fired for an injury that you sustained at work. However, you may have recourse after you have been fired. Try to learn more about the laws in your state. If you still have questions, schedule a meeting with an attorney. Listen to the advice that they give you. Do You Wonder If The Social Security Bubble Is About To Burst? Given how polarized politics is today, and how dysfunctional Washington is in solving problems and getting anything done, one has to wonder if the nation’s issues are never going to be addressed. If you’re worried about retirement, you might even wonder if the Social Security bubble is about to burst. 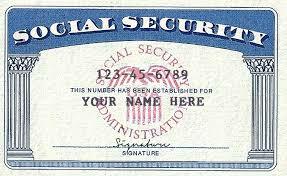 It’s a question heard way too many times by a social security lawyer Nashville. It’s a cold mathematical truth that the program is putting out more money than it is taking in and eventually is projected to run out of funding. The exact date that is going to happen varies and even moves back and forth based on economic projections and taxes collected. However, it will become a certifiable financial crisis within a generation. Changes will have to be made to the program, and the uncertainty is certainly causing concern among retirees or those in middle age or looking at their retirement. Fortunately, there is cause for optimism. Even with the political dysfunction of the capital, there are still certain political truths that hold eternal in American democracy. One of them is that once an entitlement program is rolled out, it’s unlikely to ever die. The current GOP struggles to eliminate the Affordable Care Act, also known informally as Obamacare, prove this point. Changes to Social Security are inevitable. They could include a reduction of benefits to those who do not really need them and a raising of the retirement ages before benefits are paid out. There is one fix to Social Security that most politicians quietly acknowledge would fix the system for another generation, but they just haven’t mustered the political will to put into place yet. There’s an income cap on Social Security taxes wherein someone making a million a year pays just as much into the system as someone making two hundred grand. Reversing this regressive tax would fund the system for some time to come, and combined with the political clout of retirees, it’s virtually impossible Social Security is allowed to totally crash and burn. 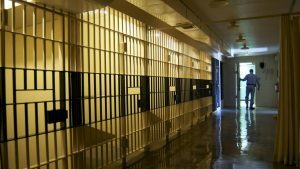 Can You Sue For Wrongful Death If A Loved One Is On Death Row? Is your loved one on death row? This is an experience some can go through, and it can unravel new legal nuances that have to be discussed. One of those details that tend to come up involves suing for wrongful death. Is there merit to this idea under the legal system? Will it lead to a positive verdict? I asked my good friend who is a personal injury lawyer Corpus Christi. Please remember, each state is going to vary when it comes to its regulations. The most important thing a client can do is speak to a lawyer to see what their professional opinion is. It’s best to go to a specialized lawyer with wrongful death cases due to how they are approached. This will ensure the regulations are adhered to, and the result is a favorable one at the end of proceedings. If not, it can lead to nowhere, and that is the last thing anyone wants when it comes to a wrongful death case. Can it be fought? This is the question you are asking and hoping to find an answer for. You can fight against a case such as this on your loved one’s behalf. A wrongful death lawsuit can be drawn up as long as it is done within the boundaries of state regulations. All of these details are discussed with a legal professional to see what the right course of action is. Once again, you have to make sure it is all based on state regulations and is allowed. These are details you will be able to uncover relatively quickly as you start to dig deeper into the case and get a legal professional to assist. It is an option to keep in mind with such cases. How Can You Keep Your Insurance Payments Low After An Injury? Have your insurance payments skyrocketed after a recent injury? 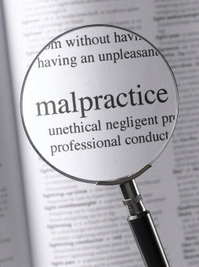 This is a common thing heard by personal injury attorney Kansas City. If you’re struggling to afford your insurance, you should know that you still have options. There are quite a few things that you can do if you want to keep your payments in an affordable range. If your insurance company isn’t offering you affordable rates, take the time to see what other companies are willing to offer you. While you could obtain quotes on your own, you’ll have a better experience if you work with an insurance agent. An insurance agent will work on your behalf and negotiate the best rates possible. Teaming up with the right insurance agent could really bring your overall costs down. In some cases, reducing the amount of coverage you have can drastically reduce your payments. While you should make sure you still have the level of coverage that you need, making a few minor cuts could save you a lot. There are a number of programs that can help people bring down their insurance payments. If you can show your insurance company that you are low risk in spite of your injuries, they will be willing to insure you for less. Don’t be afraid to talk to your insurance company about your savings options. There is a good chance that they’ll be willing to work with you. See if they are willing to help you bring your current payments down. If your insurance payments are too high for you to handle, you need to start looking for ways to save. Even if you recently sustained an injury, you have a right to affordable insurance. 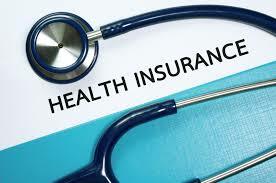 Utilize the options available to you and see if you can obtain insurance for a better price. Have you created something that you think others would appreciate having? Do you want to patent or trademark something that you have made? By doing so, you are ensuring that you receive the credit and possibly royalties concerning your ideas. Here’s a simple guide put together by a trademark licensing attorney. First of all, carefully record all the steps you have taken in creating your invention or coming up with your idea. The more detailed this recording, the better. Then, you have to prove that your invention is worthy of a patent. Does it work? Is it different than other items currently on the market? After that, you should decide if your invention or idea is worth getting a patent or trademark. If you want to sell what you created and make a profit, it may be worth paying the fees to get your patent. 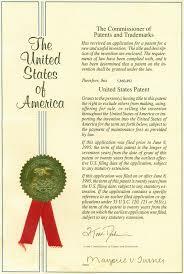 Once you have decided to seek a patent, you should do a thorough patent search. Search your country and others. And you may find products that are similar to yours, but yours will need to an improvement upon other creations. Finally, you should apply for your patent or trademark through the USPTO. It is important that your application is honest and thorough. During the application process, you may decide that hiring a lawyer is a good idea to help you accurately complete the proper paperwork. Should you decide that using a lawyer is the route you want to take, you will want to find legal representation that is able to properly assist you with your needs. Ensure that you find a reputable law office that is properly able to represent you. This means they should know about patent and trademark law and be willing to do what it takes.